A Liberty Slots player named Eddie really knows how to celebrate his Memorial Day. Just after midnight on May 29th, Eddie landed the top prize on 7X Lucky 7s with a 49X multiplyer. "I really went for it on Monday," Eddie said. "I started playing around 3:00 AM and just didn't stop! I had some fun and won some money here and there. But it wasn't until I'd been playing just shy of twenty-four hours that the stars (or sevens) aligned for me!" Eddie was betting $5 coins, three at a time, for a total bet of $15 per spin. "I couldn't believe it when I got three red sevens and two Wilds! That would normally have been a nice $900 win on my $15 bet. The Wilds gave me a 49X multiplier though, so I won $44,100 on that one spin!" 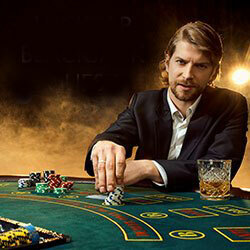 One of the three-reel slot's most exciting features is its guaranteed progressive jackpot. It's guaranteed to pay-out by the time it reaches a value of $25,000. As the jackpot value gets closer to this must-win threshold, the odds of a trigger get shorter. Liberty Slots Casino's instant-play and download casinos and mobile casino for smartphones and tablets entertains players all over the world with a huge selection of unique online casino games from Wager Gaming. The popular casino has a special offer to keep you cool this summer. New players can claim a 200% bonus that includes 50 free spins on the popular Cool Bananas slot by using coupon code 'COOLSPINS' when they deposit. 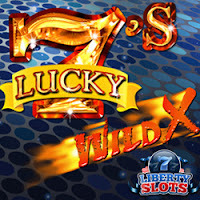 With Wilds that trigger amazing features and massive multipliers, the 7X Wild 7s slot, the first in the Wild X series of slots games from WGS, shook up the slots world when it was introduced last year. In 7X Lucky Sevens, Wilds in winning combinations multiply wins. One Wild wins a 7X multiplier. Two Wilds, like Eddie hit, and the multiplier leaps to 49X the triggering bet. "Congratulations to Eddie – what a way to round off the weekend!" said Mark Ramirez.